Almost every website design should include some link out to social media account(s). Nowadays almost everyone has an account on a social network, often many networks, and it is crucial to a website’s success that people can find you on such networks. 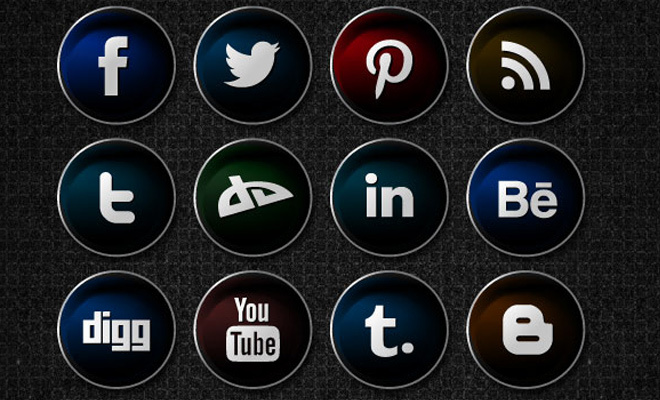 One of the simplest methods would be linking to individual profiles with a social media icon set. Icons help to define a website by explaining content through pictures. Very simple glyphs and symbols are often used to identify navigation, page content, or list items. But social media icons are primarily used as links to a company’s Twitter, Facebook, YouTube, or similar social profile. This gallery of 35 free social icon sets will undoubtedly have something you can use in your next web project.